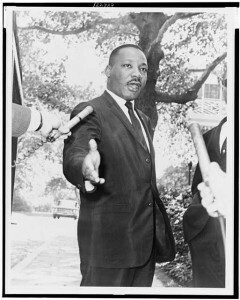 Martin Luther King in 1964, via the Library of Congress. Portland State University Library will be closed on Monday, January 18, 2016, in honor of the Dr. Martin Luther King, Jr. holiday. Building hours are the same otherwise. See our complete schedule on the Library website.